Quiche. 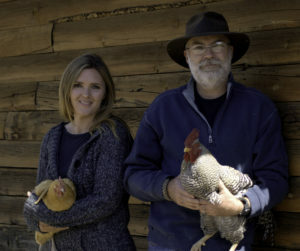 Anyone who raises chickens needs a few go-to recipes to use up excess eggs. Quiche is a favorite around here. I used to make it wrong though. 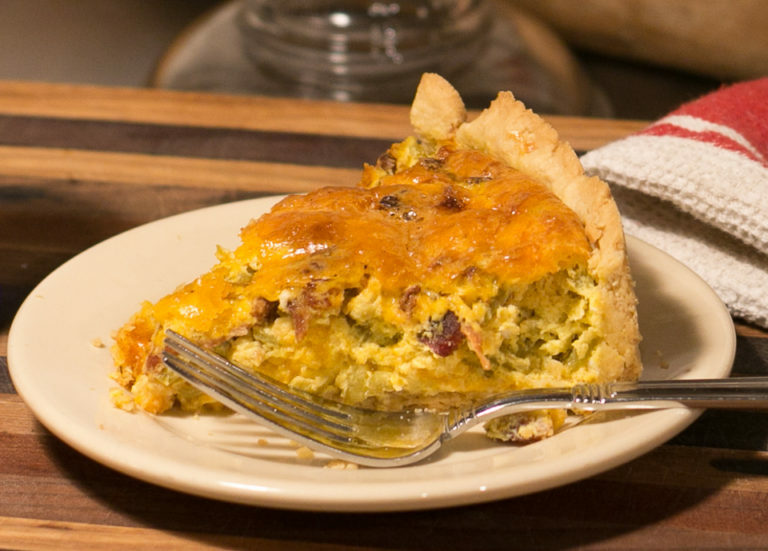 Keep reading if you haven’t mastered a creamy, flavorful quiche of your own yet, and I’ll show you a few tricks to make the best quiche ever. 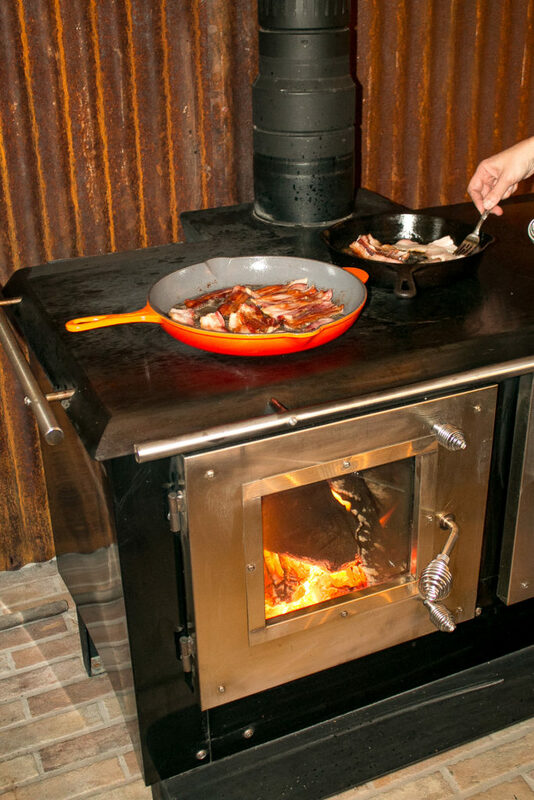 In the winter months we do a lot of our cooking on our wood cook stove. Of course, if you don’t have one, just use your regular stove/oven. First step is to cook the bacon. While the bacon is cooking, combine the eggs, heavy whipping cream (you can substitute 3/4 cup half & half and 1/4 cup of milk for the 1 cup of whipping cream) salt, garlic powder, cumin and black pepper in a mixer, or whisk by hand. You can buy frozen pie crusts, or make your own. The crust pictured here is made with Einkorn flour. Click here to get the recipe. 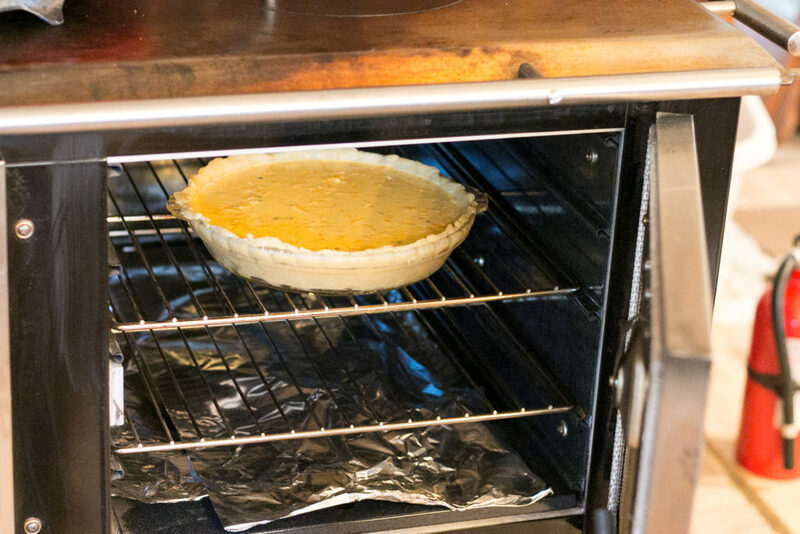 Some prefer to bake the crust for 10-15 mins. before adding the bacon, cheese green chiles and eggs. I never do, and my crust is never soggy, but if you feel like this could be an issue with the type of crust you use, go ahead and bake it for around 10 minutes. Pierce the bottom of the crust several times with a fork to prevent the crust from bubbling up. 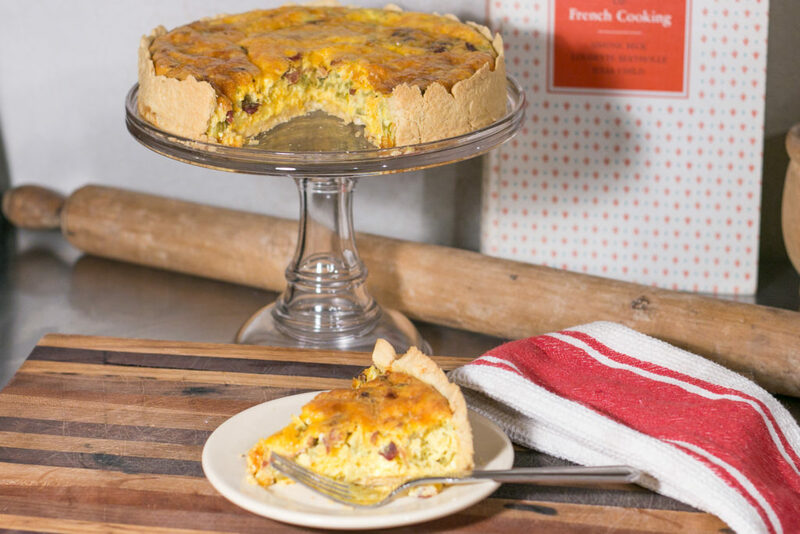 The way the quiche is layered makes a big difference in the taste and texture. 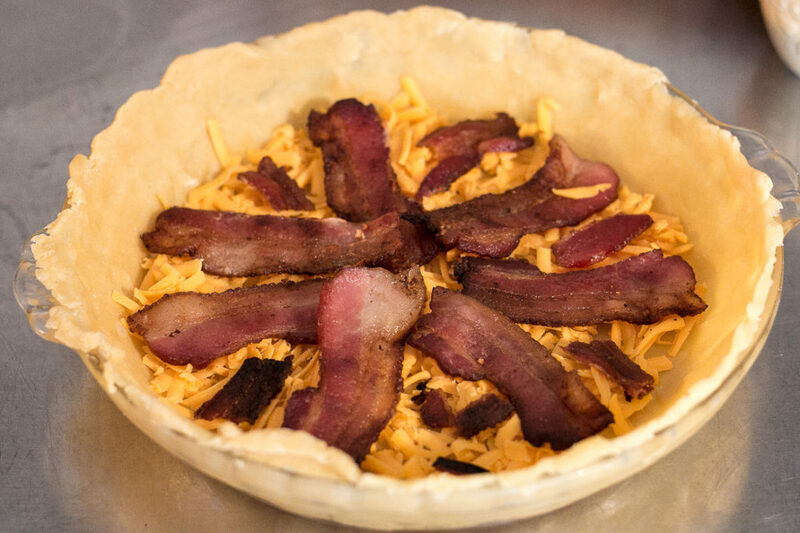 First, add 1 cup of cheese, then layer the bacon, then the green chiles, (canned is fine) and another cup of cheese. Now add the egg mixture over the top. This next step makes a huge difference, so don’t skip it! After you pour the egg mixture in, most of the top layer of cheese will float to the top. 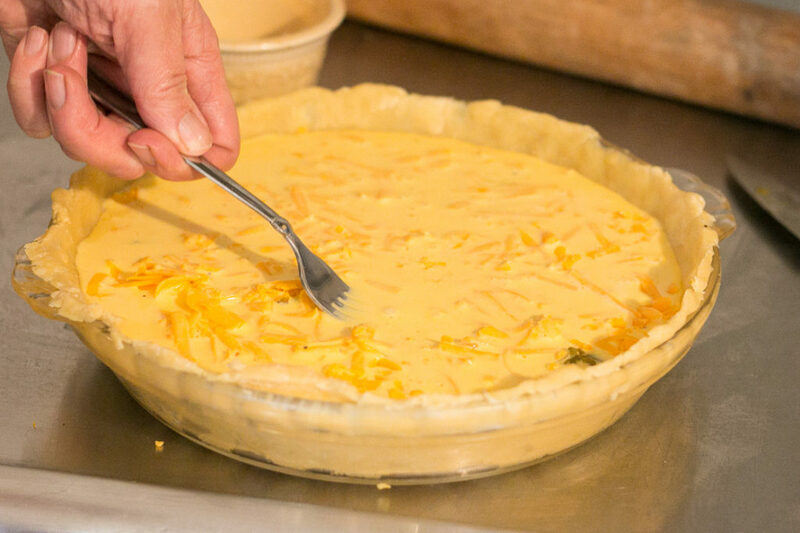 If you leave it that way, the cheese over cooks, creating a burnt cheese taste and texture on the top of the quiche. Take a fork and push the cheese under the egg mixture. Baking at a lower temperature for a bit longer creates a nice creamy texture. 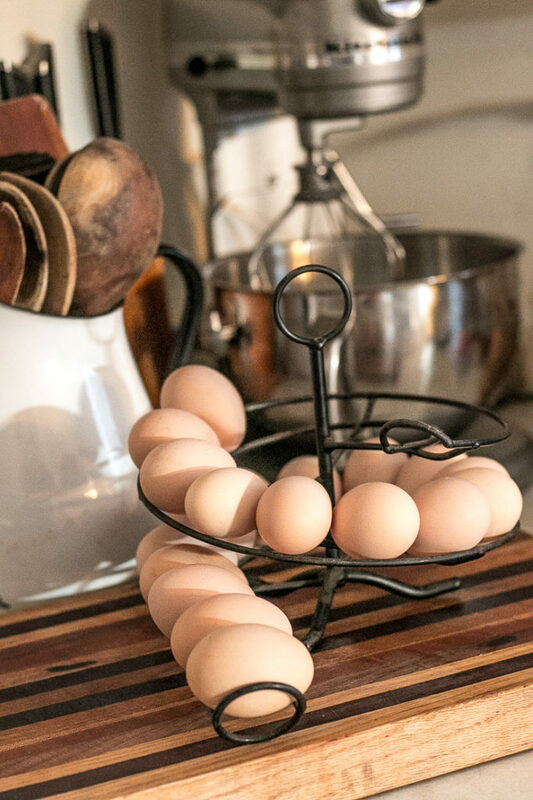 If baked over 350, the eggs tend to be firm and rubbery. Bake at 325 for 45-60 minutes. 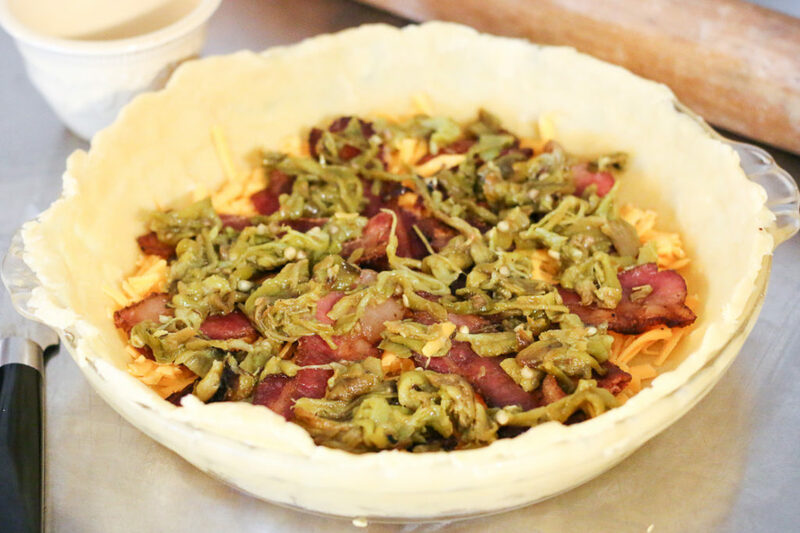 Allow the quiche to cool 15 minutes before cutting. This also allows the flavors to blend nicely. I have used this recipe for several combinations of ingredients, ham and spinach, spinach feta etc. I’ll post those recipes soon. Enjoy! In mixer or by hand whisk 5 eggs, 1 cup heavy whipping cream, salt, cumin, garlic powder and black pepper. 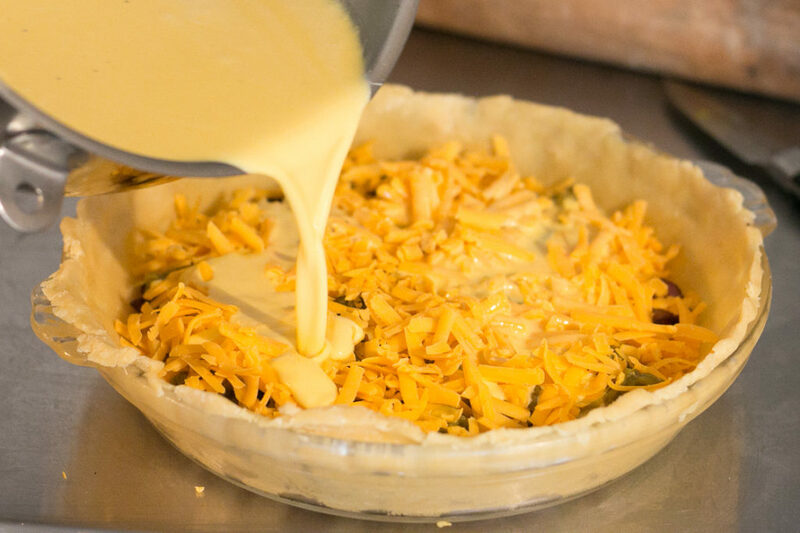 Place 1 cup of the shredded cheese in the bottom of the pie crust. Layer bacon crumbled or in strips on top of the cheese. Next layer two small cans of mild green chiles over the bacon. Add the last cup of shredded cheese over the green chiles. Pour the egg mixture on top of everything, remembering to press the cheese that has floated to the top back under the egg mixture with a fork. Bake at 325 for 45-60 minutes, being careful not to overbake. The finished texture will be creamy, but fully cooked. 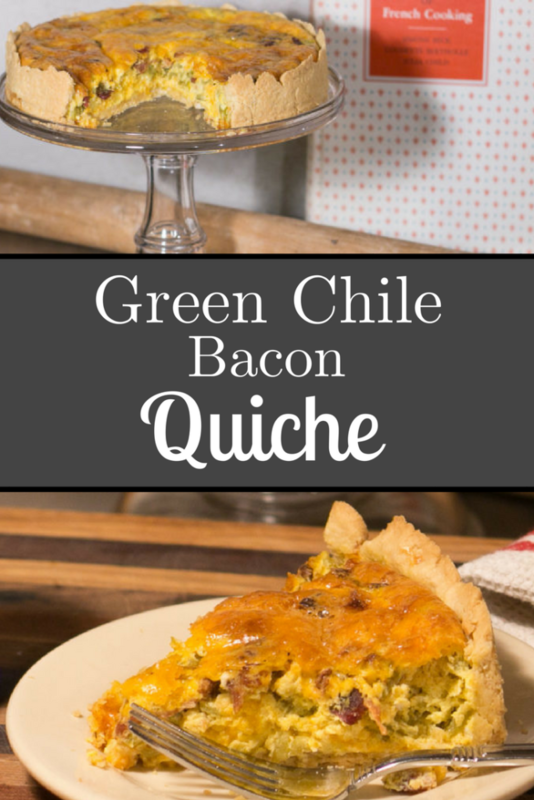 I have tried this recipe a few times and it is one of my favorites for sure! Thanks Brenda! I’m glad you liked it!